Dr. McLeod’s research focuses on the evaluation of occupational health policies and practices and on the causes and consequences of work-related injury and disease. Current research areas include an assessment of the effectiveness of occupational health and safety management systems on work injury; and national and international comparative work with jurisdictions in Ontario, Manitoba, Australia, and New Zealand. More broadly, his research explores how institutional and economic structures across countries affect health and health inequalities over the working life course, using high quality comparable longitudinal data from representative economies to examine the relationship between employment and working conditions and worker health within and across countries. 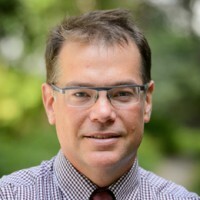 His work examining the relationship between unemployment and health, supported by the Social Sciences and Humanities Research Council and the Canadian Institute for Advanced Research, has been published in the Annual Review of Public Health and the American Journal of Public Health.